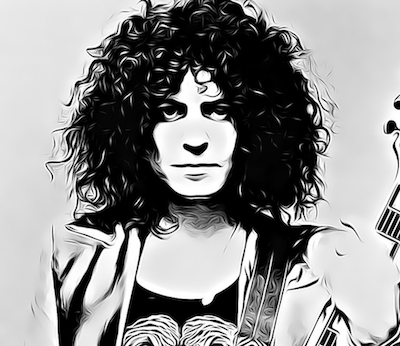 The true paranormal podcast, "Death by Misadventure" is a supernatural rock-n-roll journey through the life and death of Marc Bolan. The story uncovers the shocking details, examine the mystical facts, and unravels the paranormal mystery behind the death of Marc Bolan, lead singer of the glam rock band, T. Rex. 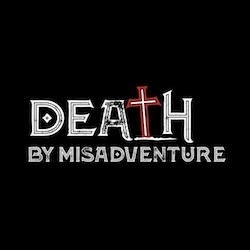 San Francisco, CA, February 08, 2018 --(PR.com)-- The new true paranormal, and mystery podcast series, "Death by Misadventure" launched its second episode today and is available for listeners for download via iTunes, Stitcher, Spreaker, Tunein, and via the official show's website. The story follows the life and death of Marc Bolan, the hippy mystical mod from London's east end in the 1970s and in the process invented glam rock to become one of music's biggest and brightest rock stars. Death by Misadventure reveals the shocking details, examines the mystical facts, and unravels the mystery behind Marc Bolan's tragic car accident that killed him on September 16, 1997 in London, and the deadly curse that followed two other band members of T.Rex that died a few years later. The podcast invite listeners to take a supernatural journey into the rock and roll underworld and mystical insight in to the death of Marc Bolan, and the band members of T.Rex.